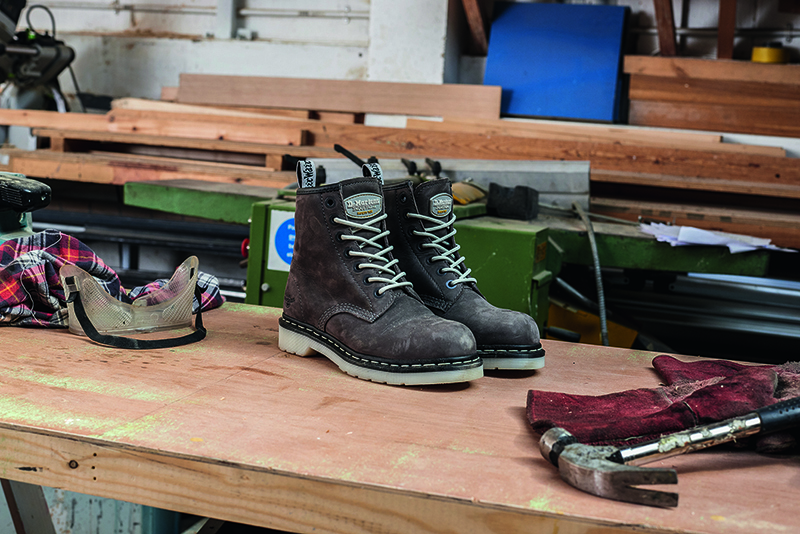 Dr. Martens, iconic British footwear brand, is bucking the trend for women in industry, with the launch of its women’s industrial collection, offering female workers a choice of boots, without needing to compromise on safety. In recent years, more women have decided to embark on careers within typically male-dominated industries such as construction, engineering, manufacturing and trade. However, despite being exposed to the same risks, they are rarely supported by the Personal Protection Equipment (PPE) available. The choice for women working within hazardous environments has famously been limited, resulting in women wearing safety footwear that has not been specifically designed with them in mind. A survey commissioned by Trades Union Congress reveals that only 29% of women wear PPE specifically designed for them, whilst a further 57 per cent said their current PPE actually hampered their work. Wearing uncomfortable PPE, such as safety footwear that doesn’t fit, can be hazardous, and prevent women from safely conducting their jobs. Maple A classic 8-eyelet lace up steel-toe work boot, the Maple is designed with soft leather and heat-sealed uppers. The padded tongue ensures comfort, as well as the SoftWair sock liner delivering extra cushioning at the heel. Arbor This classic Chelsea work boot has a steel toe cap with soft leather uppers that are heat-sealed with a PVC outsole that is durable. The SoftWair sock liner also delivers extra cushioning at the heel and forefoot, while the raised grid pattern promotes underfoot airflow to keep feet dry and comfortable. Available in UK sizes 3-9, the collection is available to buy online.